Our success is driven by the fact that each attorney focuses his time and attention on only a couple of practice areas. 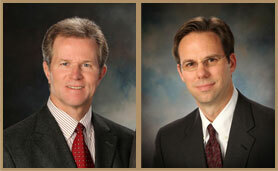 This dedicated personal service allows the firm to provide excellent representation in multiple practice areas. 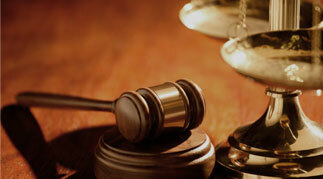 With decades of individual experiences, each attorney will personally handle your case. Serving all of Jefferson County, Hardin County and Orange County, our law firm is equipped to represent your legal needs throughout the Golden Triangle, but our strategic Nederland location affords us the opportunity to focus on the Mid County and Port Arthur area. Jesse Branick has earned the respect of the entire community as he serves as prosecutor for many of our local cities. He also focuses in the areas of adoptions, wills/probate, business law, contracts and real estate. Trent Devenzio is well known for his calm demeanor and passion for preparation. With compassion for those in need, Trent focuses his time in the areas of Personal Injury, Social Security, Disability, Veteranâ€™s Disability and Mediation. Branick and Devenzio is a law firm built on the principles of family, hard work and common sense. With years of legal expertise and established relationships, we give our clients the best know-how and the experience to achieve their goals. With a focus in Mid County, our clients are assured easy acessibility that other firms cannot provide. We offer common sense solutions in the following areas:Motor Vehicle Accidents, Family Law, Social Security & Disability Law, Criminal Law, Veteranâ€™s Benefits, Wills/Probate, Mediation and Personal Injury. Call Jesse Branick or Trent Devenzio for legal counsel and legal representation in Port Arthur, Port Neches, Nederland, Beaumont, Bridge City, Orange, Fannett, Hamshire, Winnie, Silsbee, Lumberton, Kountze, Vidor, Orangefield, Orange, Mauriceville, China, Labelle or Kirbyville.